The six square kilometres of the Rock of Gibraltar are steeped in history, from the very beginning around 100,000 years ago when primitive humans and Neanderthals fished the shoreline and inhabited the limestone caves, to visiting Phoenician and later Roman seafarers. However, it was the Moors of Tarek ibn Ziyad that first settled the Rock in 711AD, and since then, this much-prized site and its people have witnessed many sieges and battles over the centuries. Over 50,000 years ago, Gibraltar’s first inhabitants were Neanderthals who fished the shoreline and inhabited the limestone caves. Gibraltar may have been one of their last places that Neanderthals lived before they died out around 24,000 years ago. Gibraltar’s history started being recorded around 950 BC with the Phoenicians who lived nearby. The Carthaginians and Romans later worshipped Hercules in shrines said to have been built on the Rock of Gibraltar, which they called Mons Calpe, the ‘Hollow Mountain’, and which they regarded as one of the twin Pillars of Hercules. The history of Gibraltar, a small peninsula on the southern Iberian coast near the entrance of the Mediterranean Sea, spans over 2,900 years. The peninsula has evolved from a place of reverence in ancient times into “one of the most densely fortified and fought-over places in Europe”, as one historian has put it. Gibraltar’s location has given it an outsized significance in the history of Europe and its fortified town, established in medieval times, has hosted garrisons that sustained numerous sieges and battles over the centuries. Gibraltar was first inhabited over 50,000 years ago by Neanderthals and may have been one of their last places of habitation before they died out around 24,000 years ago. 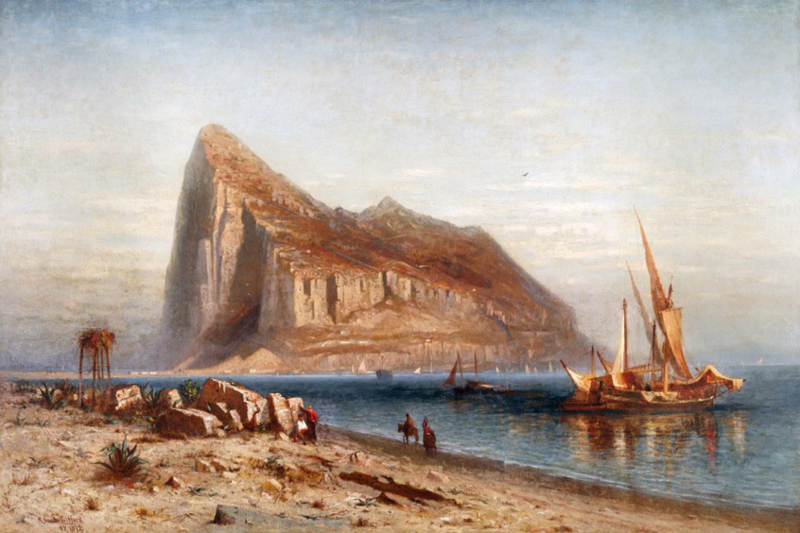 Gibraltar’s recorded history began around 950 BC with the Phoenicians, who lived nearby. The Carthaginians and Romans later worshipped Hercules in shrines said to have been built on the Rock of Gibraltar, which they called Mons Calpe, the “Hollow Mountain”, and which they regarded as one of the twin Pillars of Hercules. Gibraltar became part of the Visigothic Kingdom of Hispania following the collapse of the Roman Empire and came under Muslim Moorish rule in 711 AD. 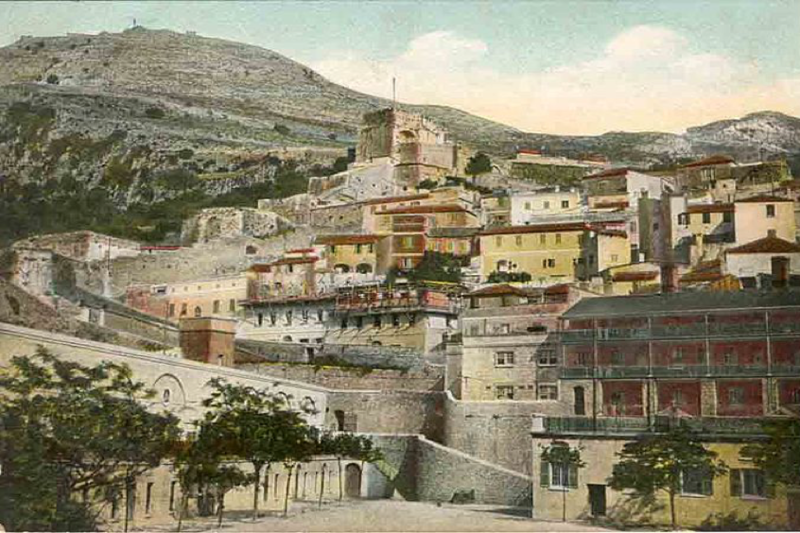 It was permanently settled for the first time by the Moors and was renamed Jebel Tariq – the Mount of Tariq, later corrupted into Gibraltar. The Christian Crown of Castileannexed it in 1309, lost it again to the Moors in 1333 and finally regained it in 1462. Gibraltar became part of the unified Kingdom of Spain and remained under Spanish rule until 1704. It was captured during the War of the Spanish Succession by an Anglo-Dutch fleet in the name of Charles VI of Austria, the Habsburgcontender to the Spanish throne. At the war’s end, Spain ceded the territory to Britain under the terms of the Treaty of Utrecht of 1713. Spain tried to regain control of Gibraltar, which Britain had declared a Crown colony, through military, diplomatic and economic pressure. Gibraltar was besieged and heavily bombarded during three wars between Britain and Spain but the attacks were repulsed on each occasion. By the end of the last siege, in the late 18th century, Gibraltar had faced fourteen sieges in 500 years. 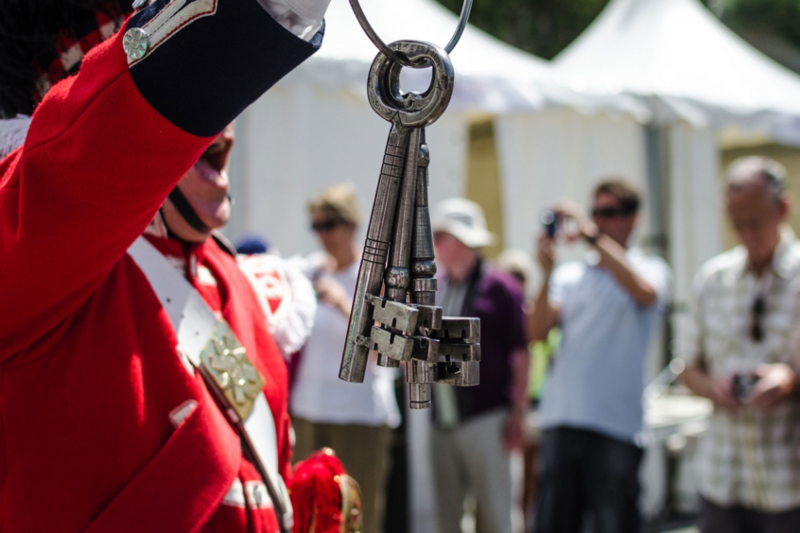 In the years after Trafalgar, Gibraltar became a major base in the Peninsular War. The colony grew rapidly during the 19th and early 20th centuries, becoming one of Britain’s most important possessions in the Mediterranean. It was a key stopping point for vessels en route to Indiavia the Suez Canal. A large British naval base was constructed there at great expense at the end of the 19th century and became the backbone of Gibraltar’s economy. British control of Gibraltar enabled the Allies to control the entrance to the Mediterranean during the Second World War. It was attacked on several occasions by German, Italian and Vichy French forces, though without causing much damage. The Spanish dictator General Francisco Franco declined to join a Nazi plan to occupy Gibraltar but revived Spain’s claim to the territory after the war. As the territorial dispute intensified, Spain closed its border with Gibraltar between 1969 and 1985 and communications links were severed. Spain’s position was supported by Latin American countries but was rejected by Britain and the Gibraltariansthemselves, who vigorously asserted their right to self-determination. Discussions of Gibraltar’s status have continued between Britain and Spain but have not reached any conclusion. Since 1985, Gibraltar has undergone major changes as a result of reductions in Britain’s overseas defence commitments. Most British forces have left the territory, which is no longer seen as a place of major military importance. Its economy is now based on tourism, financial services, shipping and Internet gambling. Gibraltar is largely self-governed, with its own parliament and government, though the UK maintains responsibility for defence and foreign policy. Its economic success has made it one of the wealthiest areas of the European Union.